Spicebomb by Viktor & Rolf is an aromatic spicy fragrance for men. After the overwhelming success of Flowerbomb, fashion duo Viktor & Rolf returned with an explosive scent for men. Spice Bomb is an exhilarating blend of leather, cinnamon, chili, tobacco and zesty notes of bergamot and grapefruit. The scent comes in a bottle shaped like a hand grenade. 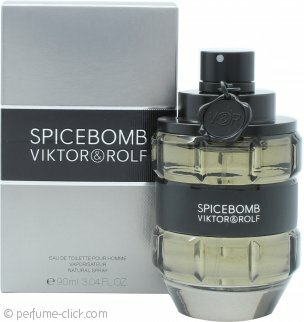 Spicebomb by Viktor & Rolf was released in 2012.